We’re big fans of free walking tours at The Traveloid. No, they’re not really free, but because the tour guide is paid entirely through tips at the end of each tour, you can be sure that they really put in the effort to give you a great experience. 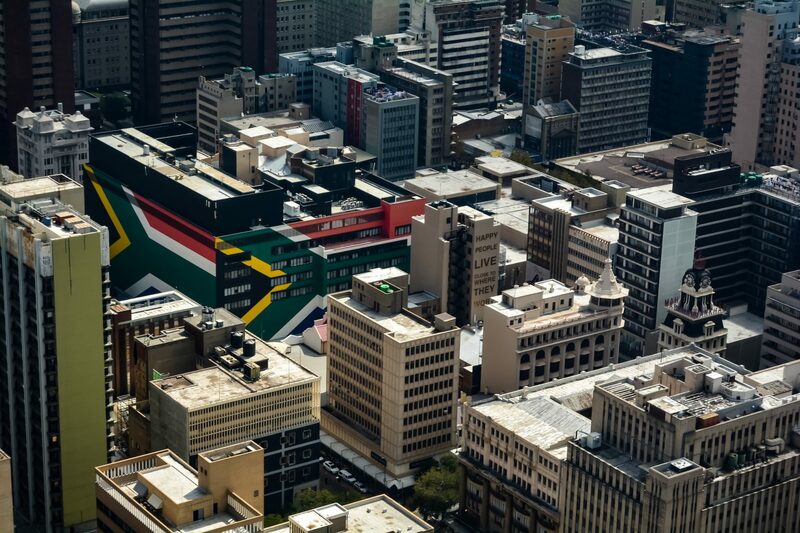 Taking a tour from a local is one of the best ways to get to know a city before you explore on your own, particularly in a city like Johannesburg where pickpocketing and petty crime is rife. Learning from someone who actually lives there is the best way to become streetwise and vigilant. Check out TripAdvisor for highly-rated walking tours – this one departs from Park Station daily and has a high rating and lasts for up to 2 hours, which is typical for a walking tour. Be sure to bring your camera as well as plenty of water! Horse racing is a hugely popular sport in South Africa, with regular racing taking place around the country. The sport in South Africa enjoys a long and rich history that can be traced back to 1797! The first race meeting took place just five years later in 1802, and that tradition continues to this day. In fact, you can tell how ingrained horse racing is into the local culture by its relationship with betting. For many years, horse racing was the only sport where gambling was allowed. This all changed in 1996 when other kind of sports betting became legal in South Africa became legal in South Africa. All in all, a day at the races is a must when visiting South Africa to really get to know the culture. If you’re travelling in the summer – that’s winter to everyone living in the northern hemisphere – then the Gauteng Summer Cup in Johannesburg should be on your list. Known as The People’s Race, the Summer Cup is one of the most prestigious sporting events in the country. Even if racing isn’t your thing, there’s plenty to see and do, including live music performances, fashion shows, dancers, choirs and drum majorettes. Be sure to come dressed in your Sunday best – think attention-grabbing hats or fascinators for ladies and top hats and coat tails for men. Learning about the history of a country is an important part of finding out about it’s present and future. South Africa may have some dark spots in its history, but it needs to be remembered, so future generations can learn from the mistakes of the past. With that in mind, a visit to the Apartheid Museum is essential, charting the rise and fall of the apartheid regime. Set aside around 3-4 hours to see all the exhibitions in the museum, learning how people of different backgrounds lived under the regime. The museum is seen by many as a powerful, moving experience, but an important one at that, and really helps you understand why South Africa is how it is today. Staying on the Apartheid theme, the role of Nelson Mandela is pivotal, as the first black head of state – and the first president to be elected in a fully representative democratic election. The museum houses the last office of President Nelson Mandela – exactly as it was when he left office, telling the story of his life and legacy. Reserve a minimum of two hours in your itinerary to visit the museum and discover the story of one of the most important people in the history of South Africa. To round off this list, Johannesburg makes a great base camp if you have a bit more time to leave the city and explore the countryside. Pilanesberg is one such nature reserve where you can really get familiar with South Africa’s stunning countryside. Set in an ancient extinct volcano, the park is full of grassland, woodland and stunning multihued rock formations. Not only that, it’s home to a huge range of wildlife, including rhinos, lions, elephants and leopards, as well as abundant birdlife. It’s this overlap of animal and bird habitats that make Pilanesberg unique, and that’s all because the park is situated in a transition zone known as ‘Bushveld’, where the dry Kalahari desert makes way for the wetter lowveld vegetation. You’ll have the chance to encounter up to around 7,000 animals, thanks to a large scale translocation process when the park was first created, that re-introduced many long-vanished species, while keeping them safe within the reserve. If you’re a fan of David Attenborough or National Geographic shows, then Pilanesberg is a must visit!